I found your site really useful. alongside of the treatments information the tour quides were also really helpful and providing foreigners good data. good luck! Iran is really strong in plastic surgery treatments . my friend is looking forward to undergo a rhinoplasty surgery and i would highly recommend this website to her . hope she gets results soon . Ariamedtour is such a professional team! so much better than Australia. i would definitely recommend this team to my friends and family to come here and use the marvelous and high quality services. i was here for my skin care treatments and really happy about the results. Best wishes for all of you guys. My name is Mahmoud Rahimi and I am the brother of Ahmad Rahimi your patient. I just want to say thank you for all your help with my brother heart surgery. I pray that Allah will always keep you healthy, happy and blessed in your future courier. I wouldn’t imagine that I would get such great result for my rhinoplasty . I didn’t experience pain at all and After passing a few days the swelling faded away. I had quite a great experience here with AriaMedtour team the staff and doctor were always with me anywhere and everywhere also after the surgery i had the follow up procedure . I highly recommend this team to everybody. Thank you very much for everything. I really enjoyed my trip to Iran and I learned lots of things about Persian culture too. I am very satisfied with my dental implants as in my country they were extremely expensive . from the moment i got back to my country i am talking about you guys to my friends and i am recommending to anybody else who wants dental treatments to come to Iran as Iranian doctors are also really friendly and experienced . Hope to see you guys again and good luck . The results are everything I could have hoped for. Thanks Ariamedtour! I am Indonesian working in saudi arabia. one of my friends had nose surgery in Iran 3 yers ago. her nose was very big and fleshy but after her operating it became so beautiful :). Here in saudi arabia nose surgery doctors are very bad and they take a lot of money. I know that iran is the best country for doing nose surgery. Maybe i will come one day to operate my nose. my nose is not as big as my friend by the way but i want it to be smaller. Medical tourism in Iran can be much better than the status quo. I did a lot of research into the status of Iranian healthcare services and I found out that Iranian medical capabilities are great. The human resources are unparalleled and the infrastructure and facilities have seen great developments over the past years. I think advertisement has been ignored so far in medical tourism in Iran and that is the main reason people are less familiar with the capacity of the country. 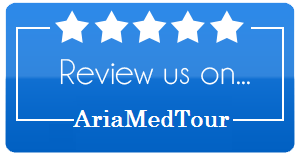 As someone who used Ariamedtour services I highly recommend the company. It provides high-class services to its patients. I had hair transplant with them, which was a good experience. They won’t let you down for sure. Very nice guys are at Ariamedtour. I had an unforgettable experience with them. I think Ariamedtour guys are just the tip of the iceberg of the Iranian people. They are very nice and hospitable. A travel to Iran will completely change your image about Iran. It is one of the best countries to visit. The hospitals in Iran are also of great quality and very modern. I had a chin implant procedure and now really feel very good about it.